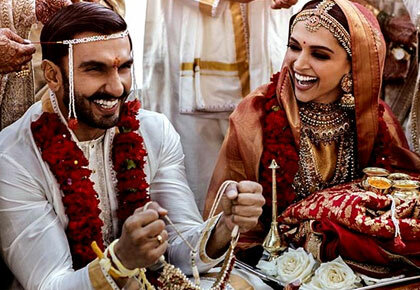 As soon as the first pictures of the Deepika Padukone-Ranveer Singh wedding were posted by the stars on their Instagram account Bollywood celebs took to social media to wish the newly weds. Karan Johar: Love and happiness forever.....these are such a full of pyaar wala pictures! For those of us who don't have a life partner it's a very "haiiiiiiiii" wala feeling! Shilpa Shetty: Congratulations! You both look gorgeous...Nazar na lage. Sonu Sood" Mubaarak ho mere bhai. 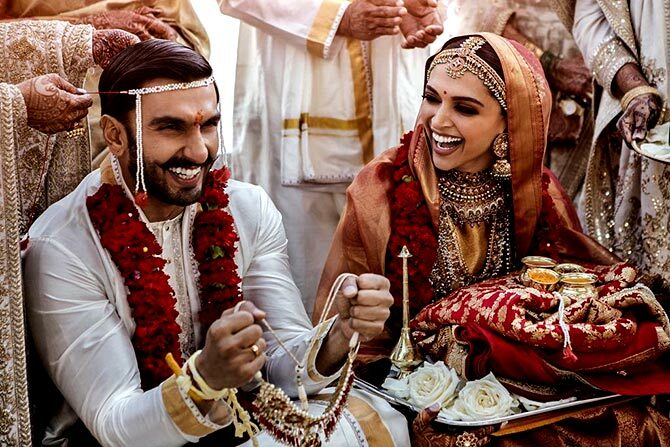 Anand Ahuja: "#PartnersForLife...wish you both endless growth, fulfilment and happiness, "love is not something you can put into motion, or has a time schedule: #lennon... Congratulations on finding your time and celebrating the union together'. Arjun Kapoor: Jashn E Ishqa. Katrina Kaif: Congratulations to both of u.